Packs and bags are required for use in the field, for travel to and from the search and for storing spare equipment at search base. There is some advantage in searching with a pack that has a capacity suited to each day’s task. However, when leaving home for a search, you will not be able to predict the type of load that will be required for the task that you will later be allocated. You will definitely need a spare pack or travel bag anyway, so that you can leave spare gear at base. So bringing a combination of large and small packs is ideal. Nearly all searches end up in scrub, so packs with tough fabric and a minimum of belts and buckles are best. Waterproofness is a significant convenience as it saves the weight and fiddliness of a pack liner or cover. But waterproofness is hard to guarantee in any purchase. Packs made from synthetic canvas seem work best. For those wanting to be equipped for the rare alpine incident, an alpine pack will be preferred as it has good facilities for carrying skis and climbing equipment externally. 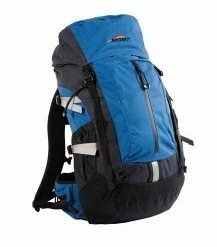 A really large pack is adequate for day searching, but a smaller one is more convenient. Also, if you take a large pack for day searching, you will need another large container in base for your spare gear. So when day searching, it makes sense to use your main pack for storage and have a suitable day pack to take into the field. Usually we are expected to take enough gear to pass a night unexpectedly or to care for a patient, so most day packs on the market are too small. 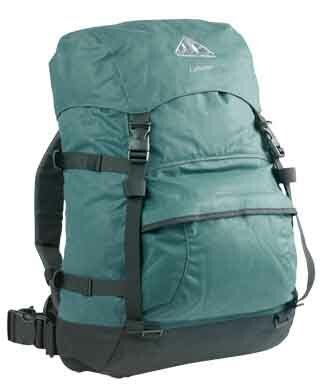 You will find many alpine style packs in a suitable size. 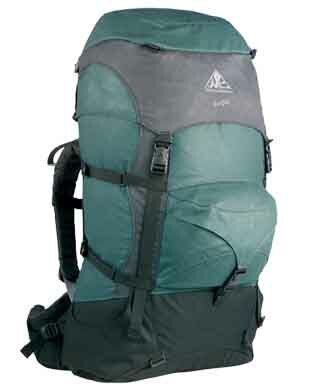 Finding a bushwalking pack with a medium capacity can be difficult, but some do exist, see picture. A alpine mountaineering pack 45 litres+ is recommended for specialist steep snow and ice search and rescue tasks. Useful features include fittings for carrying an ice axe, ice hammer and crampons. If you prefer take a single pack and a travel bag for storage, make sure that you bring one that is large, durable and easily portable. 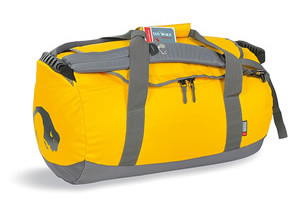 Tatonka “Barrel Bag” (durable water resistant fabric). Search base is the kind of place where your bags can easily get mixed up with gear from other participating organisations. Please label all bags clearly and externally before leaving home. A quick and effective way of improvising a label is to fold a length of duct tape around a pack strap and back onto itself, then write on the tape.